This picture was taken during a shooting session I organised at a local canine club where I wanted to capture the special bond between owners and dogs. Apart of having a wonderful time, I just confirmed that picturing dogs and their owners, reflects their bonds, similarities and deep trust. It was a lot of fun and very enlightning. 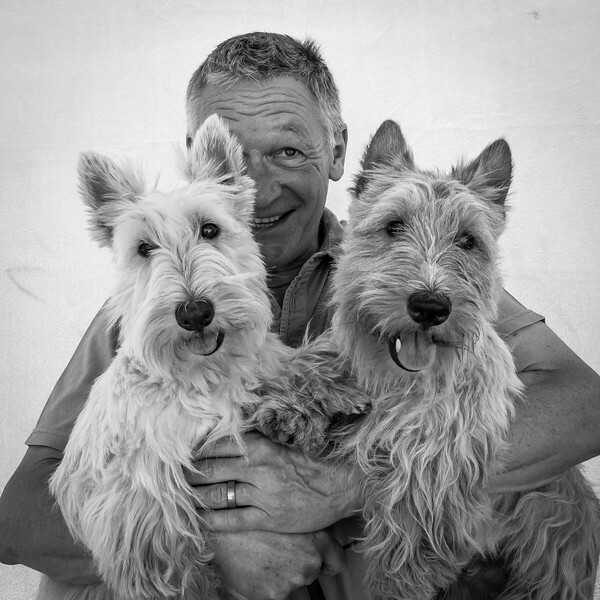 In the picture we can see my husband Abel and our dogs Lola (left) and Fred (right) and if you watch carefully, you'll notice that Abel and Fred even went to the same hairdresser for the shooting ( look at the hairs above their left ears, right side looking at the picture) ;-) And as the title says: they are MY best friends!